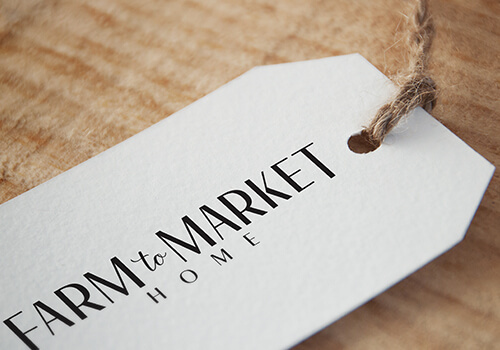 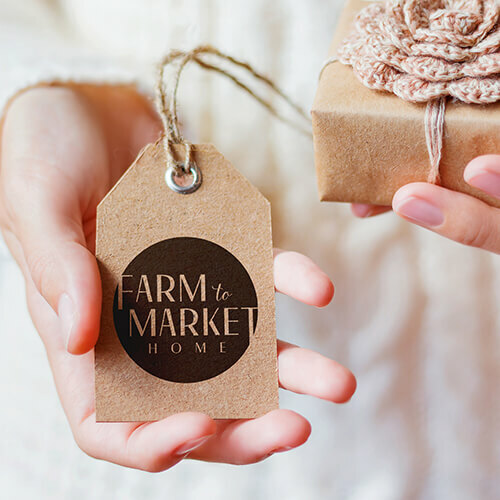 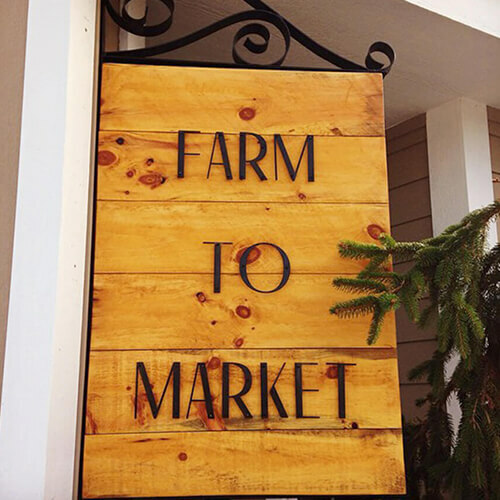 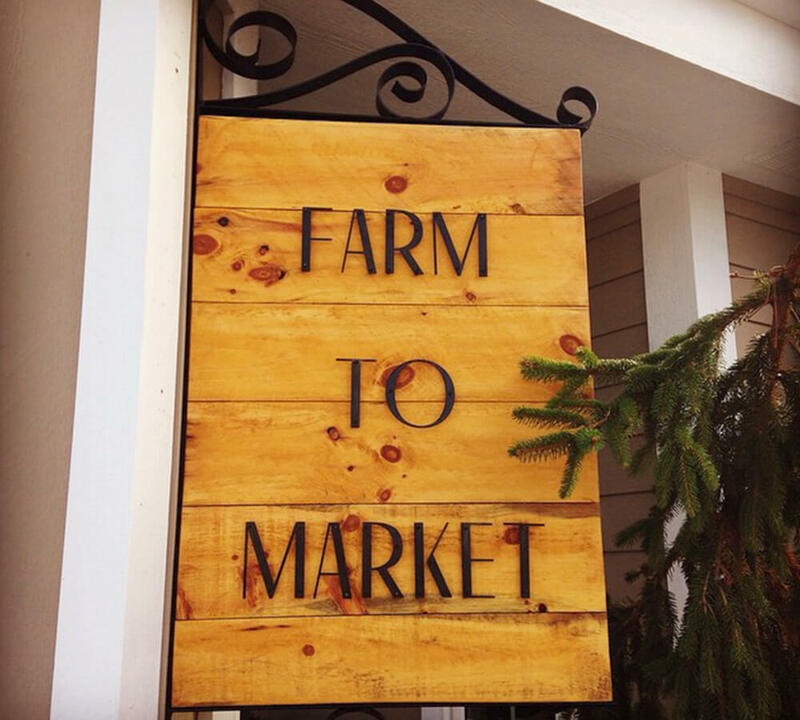 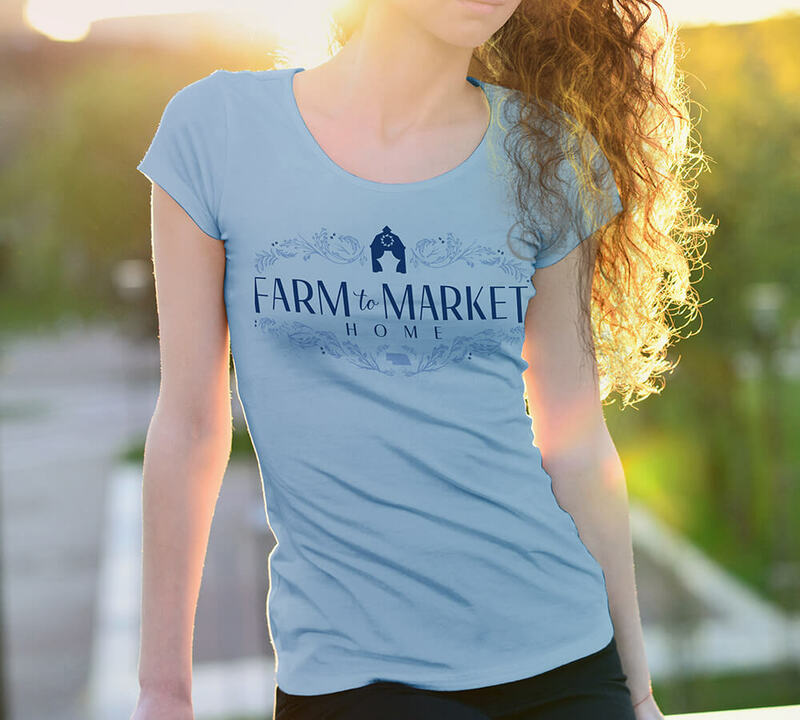 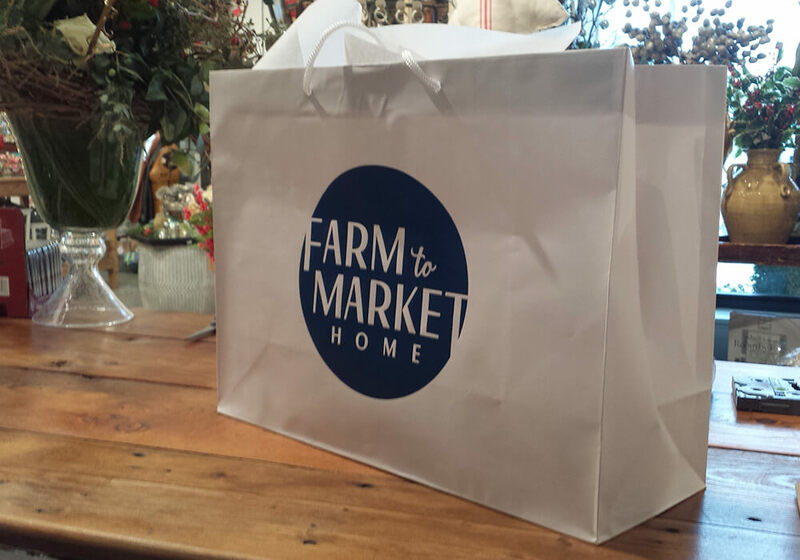 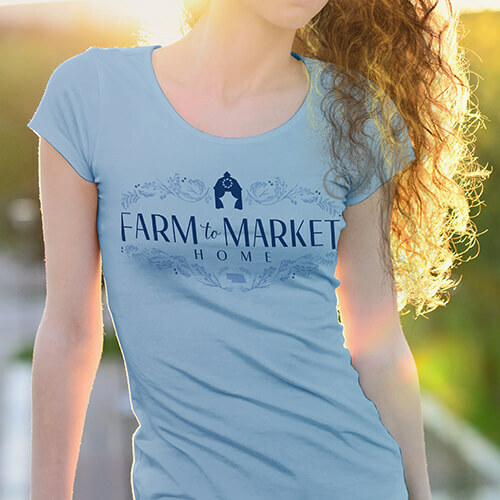 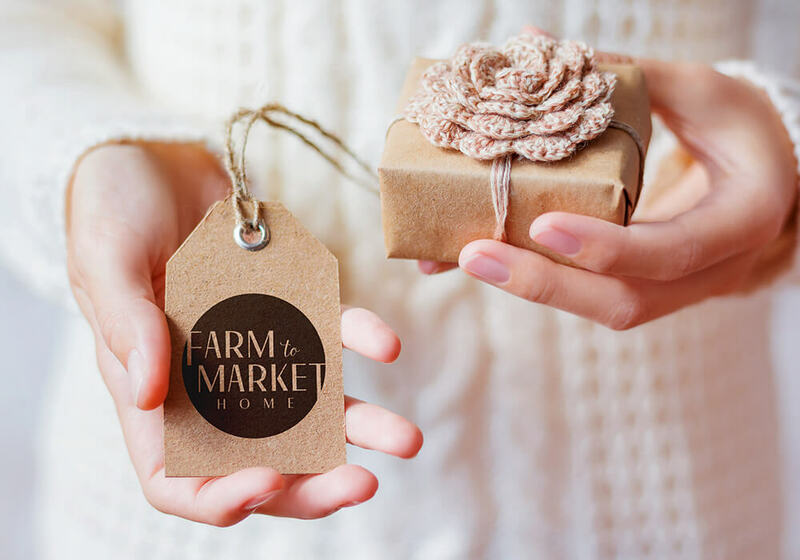 Omaha Boutique Branding of Farm to Market Home | LP Creative Co.
Farm to Market Home brings an eclectic mix of home decor, furniture, antiques and gifts to the greater Omaha area. 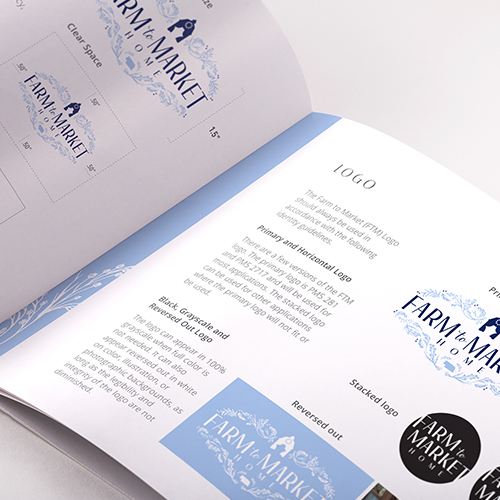 For this Omaha boutique branding we created the primary brand mark with intricate details. 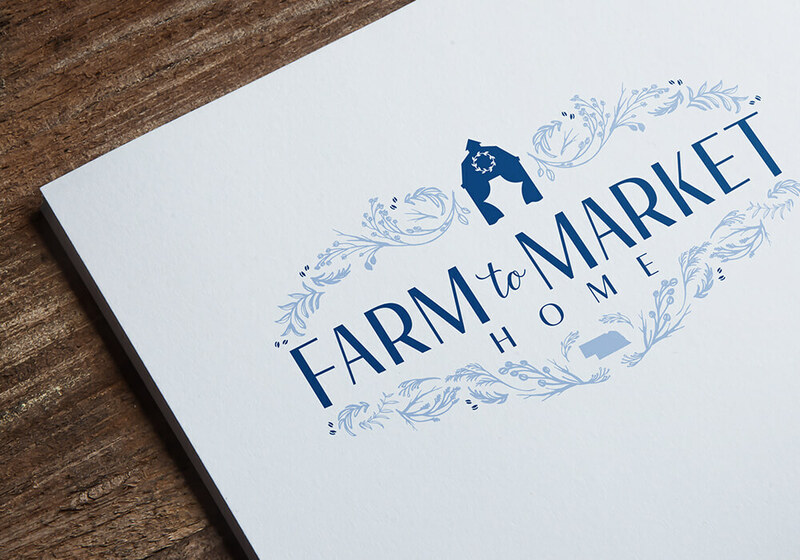 The art direction was inspired by vintage flare, farmhouse chic with a french industrial feel. 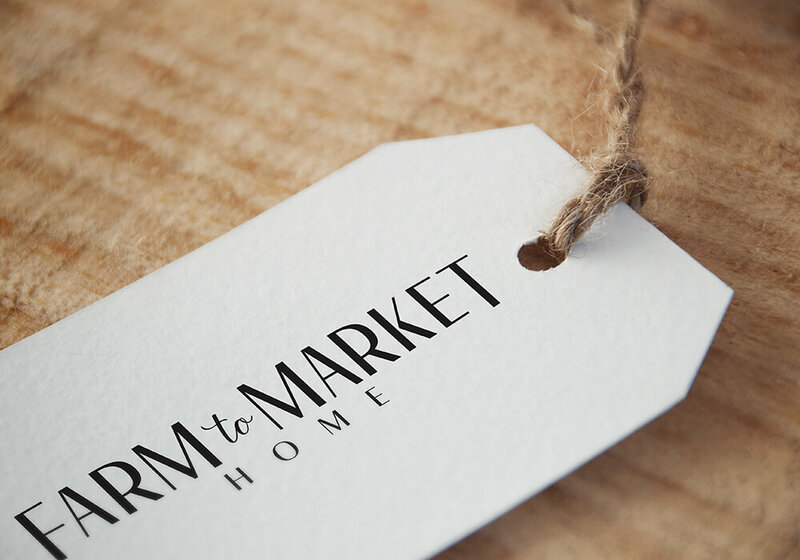 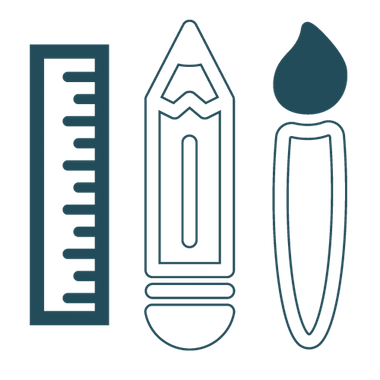 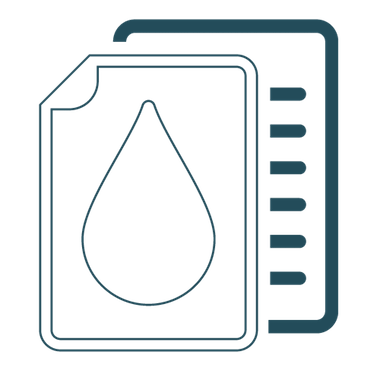 A complimentary logomark offers versatility on various product and promotional materials including store tags and shopping bags. 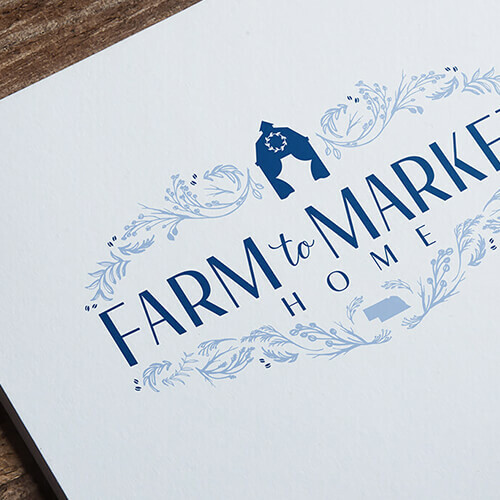 The wordmark is very clean and versatile, making a statement of its own on the shop’s storefront.